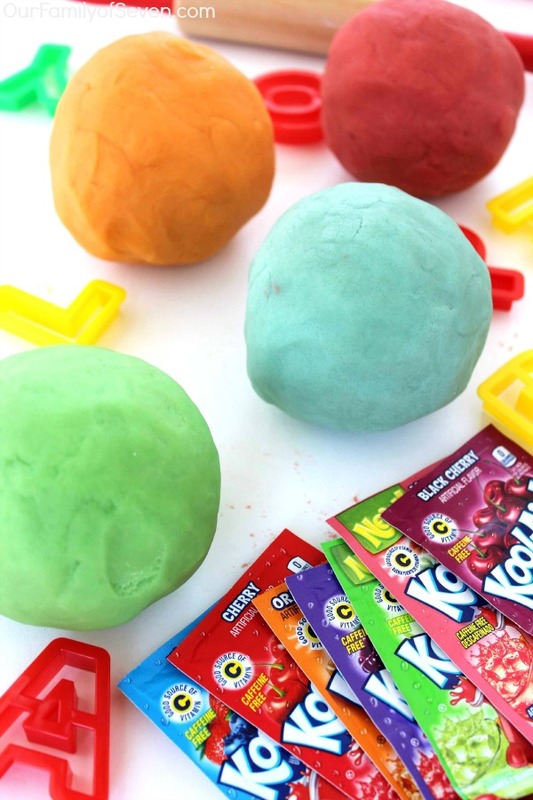 Here you have it, a super easy homemade Kool-Aid Play dough. 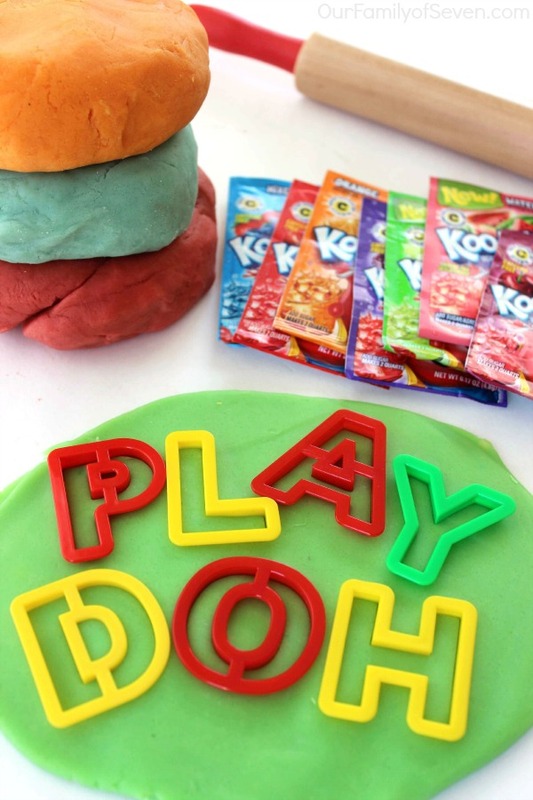 With just a few ingredients found in your pantry, you can whip up this super fun play dough that will entertain the kiddos for hours. 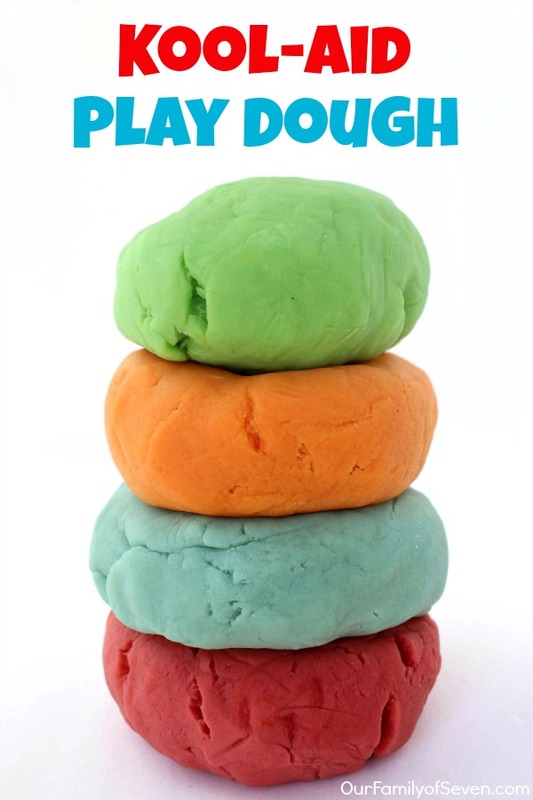 My big kids were huge fans of playdough when they were growing up. Jonathan had to be introduced to the fun stuff. I knew play dough would be great for his sensory issues. 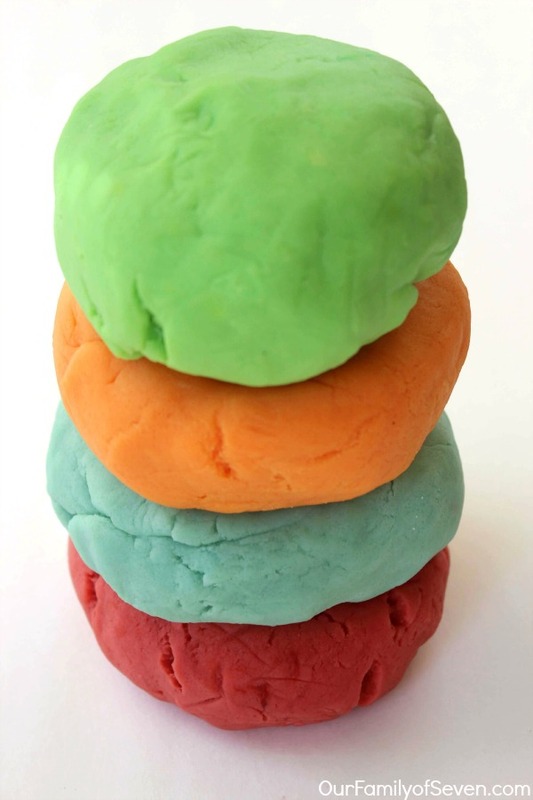 Making homemade play dough is so super simple. You can find many different recipes available online. The Kool-Aid recipe has always been one of my favorites. 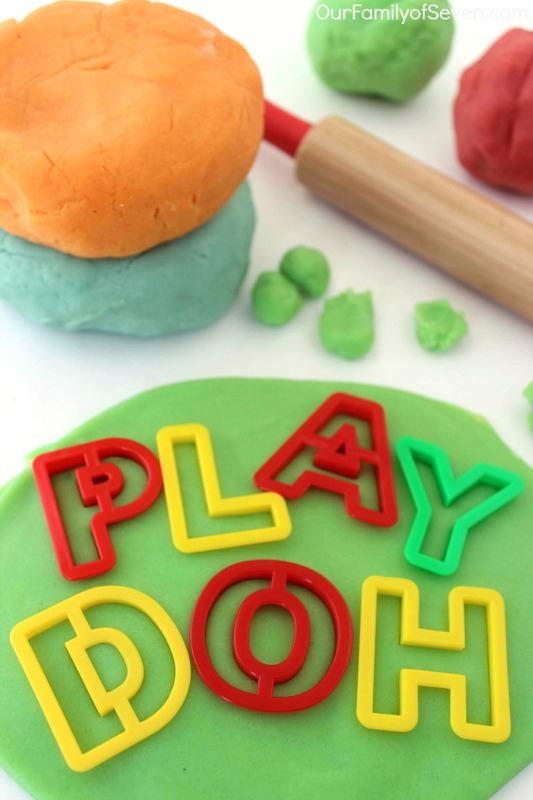 Play dough always makes for a perfect rainy day activity for the kids. During the cold winter months, it will be a life saver for us parents. When the other kids were little, I would set all of them at the table with their play dough to keep them occupied while I was cooking dinner. 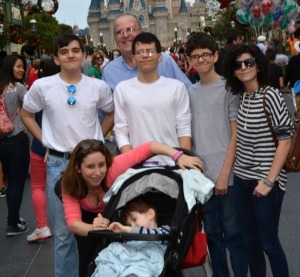 It was most always kept them busy and made dinner prep so much easier. 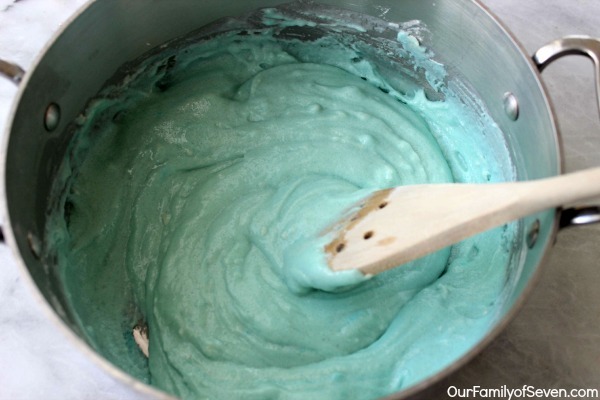 Kool-Aid really makes for some really fun colors for your dough. 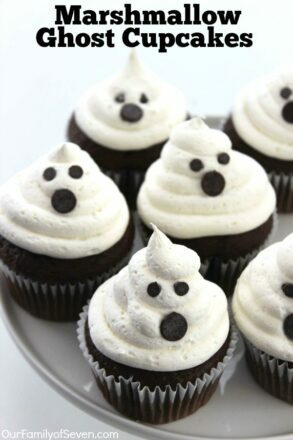 So much easier than using food coloring. There are so many different flavors of Kool-Aid available that will allow you to make every color of the rainbow. My little guy was a bit hesitant to play with his new dough I made for him. He always takes a bit of time getting use to new toys or activities. We quite often have to bring in his new toy and let it sit in the corner for a few days before he will explore. 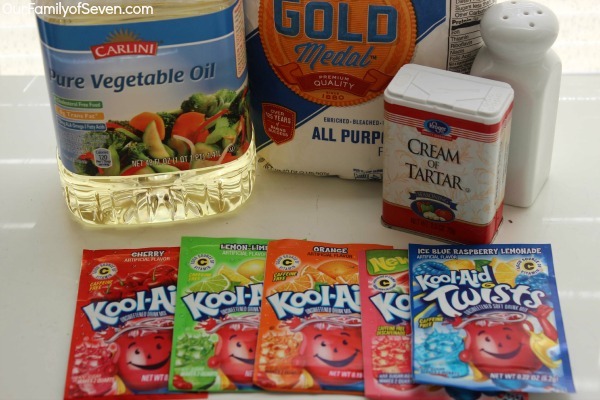 The only ingredients needed to make your own homemade Kool-Aid Play Dough are flour, cream of tarter, vegetable oil, salt, and Kool-Aid. This recipe is so quick and easy. 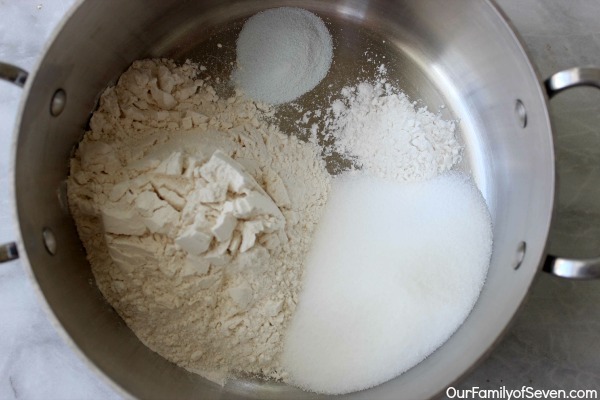 Your arm will get a workout when mixing so be sure to be ready to stir, stir, stir. Whisk together dry ingredients in a medium pan. Stir in oil and water. Stir and cook over medium heat until mixture forms a ball. Remove from heat and allow to cool before using. 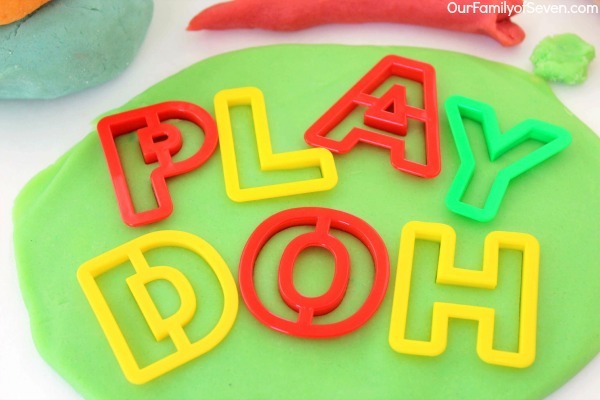 Cookie cutters are a great accessory to add to your play dough activity. I purchased some letter cutters for my little guy because he has a huge fascination with letters. You could also check your baking drawer for any cutters that maybe you never really use. A rolling pin is great too! 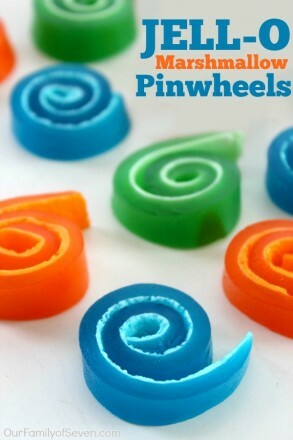 If you do not have one on hand you can always allow the kids to roll their dough with a plastic cup. What activities do you plan for cold and rainy days?